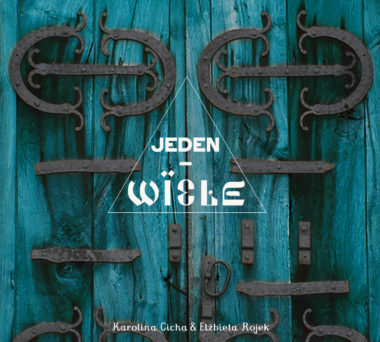 The album JEDEN – WIELE [‘One many’] – The sacred languages of Podlaskie’s temples. Karolina Cicha once again focused on a single region of Poland – Podlasie. For centuries, this has been a place where various religious traditions coexist. It is these traditions that Cicha used to source, select and work out the most joyous and brightest songs. Next to the Catholic treasures of religious music, like the 18th century “Kiedy ranne wstają zorze” (When It’s About to Dawn), you will hear traditional praise and worship songs that come from other traditions of the Religions of the Book (e.g. the old ceremonial song from Irmologion Supraski from the 16th century, The Liturgy of Saint Basil, an Orthodox song, a 13th century Sufi poem by Rumi or a 16th century Hebrew song by Elazar Azikri, a mystic). ‘One – Many’ is a combination of a diverse mosaic into one consistent program, where all the Religions of the Book reverberate in unison, as if speaking with one voice. The music, once ecstatic, sometimes contemplative, and not so rarely nearing the boundaries of a ritual or rite, is complemented with sacred languages (among others Old Church Slavonic, Latin, Arabic, Hebrew and Polish). Choosing the lyrics they were focused on the most affirmative elements of the particular religions: forms of praising, worshipping, various forms of thankgiving or blessing. Music is a language of epiphany, it facilitates communication over the doctrinal barriers. The album was co-financed by Podlaskie Voivodship and The City of Białystok.